A chronicle from as early as 1237 mentions a settlement called Kolln and the founding around the same time of another town close by whose name was Berlin. Counts and princes were involved in a series of disputes over the surrounding land, however invasions from the east, like those by the Mongols in the 13th century, threatened these towns very existence. Therefore, in 1307 the two settlements joined forces for defensive reasons and formed one city which kept the name Berlin. 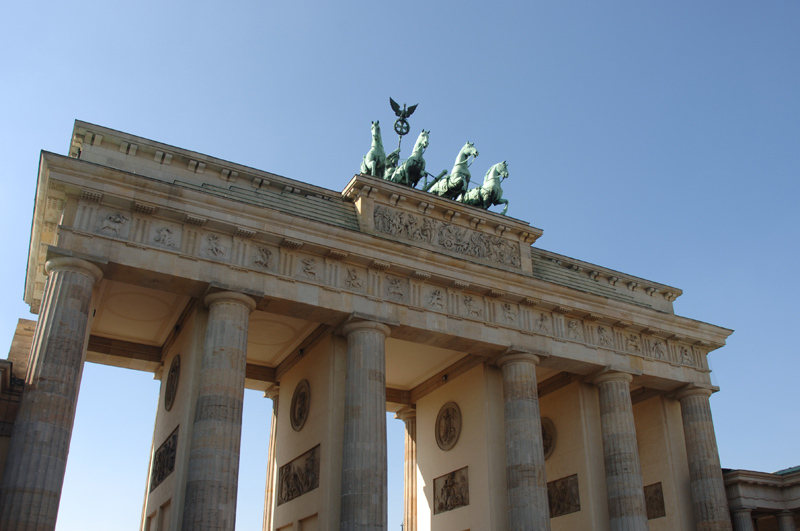 In the 15th century, the counts of Brandenburg province moved their official residence to Berlin, where it stayed until 1701. For over two and a half centuries Berlin was also capital of a tiny state forming part of the Roman-Germanic Sacred Empire. Brandenburg was part of the Prussian Kingdom, and at the start of the 18th century, with the naming of Frederick III as King of Prussia, Berlin became its official capital. In 1804, when Napoleon Bonaparte was crowned Emperor, France was at war with a large part of the European continent. After the defeat of the Prussians at Jena, the French entered Berlin on the 27th of October. During the years under French control the first feelings of Pan-Germanic nationalism were born. In 1810 the Humbold brothers founded the university that would later carry their name while intellectuals and the bourgeoisie began to dream of uniting all German states to form one free nation. Not until 1812 would Prussia accompany Napoleon on his ill-fated quest to invade Russia - an event which resulted in a change of allegiance and eventually the expulsion of the French from Berlin in 1813. In 1862, King William I named Otto von Bismark German Chancellor, whose aim was to reinforce German unity under Prussia. This was achieved with great speed using a philosophy of resolving important issues with ´iron and blood`. This led to wars breaking out with Denmark in 1864, Austria in 1866 and France in 1870. In January of 1871 Bismark announced from the palace of Versailles the creation of the Reich, meaning empire. All the states were united with Berlin as capital and King William I became Kaiser, Emperor. It was during this period that Berlin experienced great demographic growth and became an architectural and cultural reference. Kaiser William II though led Germany to defeat. In August 1914, after the assassination of the heir to the Austrian throne, he began a war which initially matched Germany, Austro-Hungary and Turkey against France, Great Britain and Russia. After four years of some of the worst carnage known to humanity, in November 1918 the war ended with Germany’s defeat. The Kaiser abdicated and sought exile in Holland.